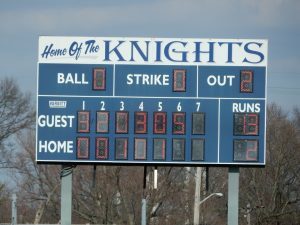 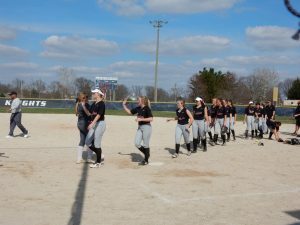 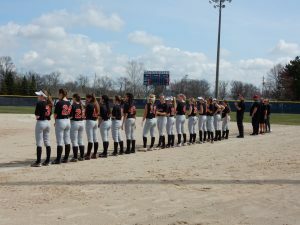 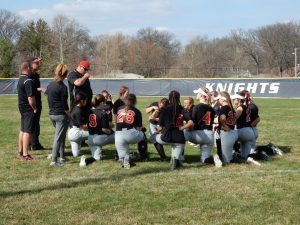 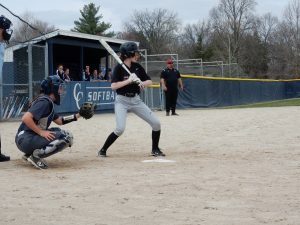 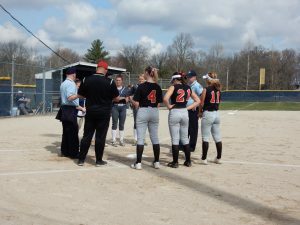 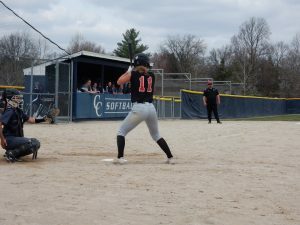 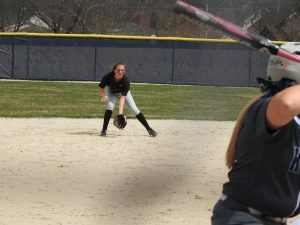 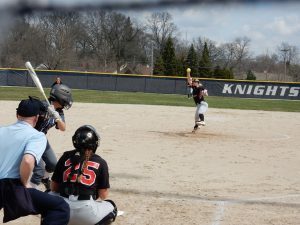 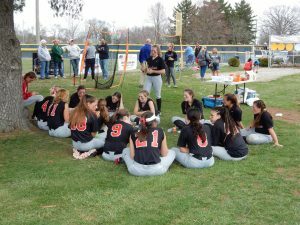 The Cardinal Ritter Softball Team traveled to Lafayette this past weekend to take on the Lady Knights of Lafayette Central Catholic. 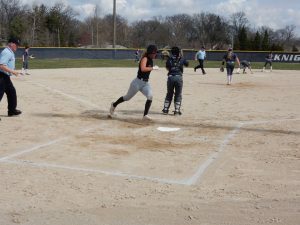 The Lady Raiders hat hot bats beating the Lady Knights 10 – 0 in game one then turning around and winning 13-2 in game two. 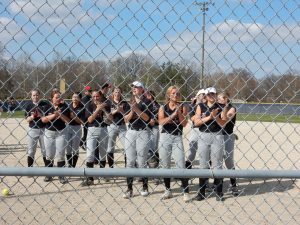 In game one the Lady Raiders hit an astounding 20 hits as a team. 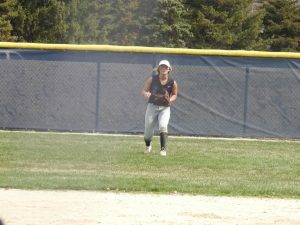 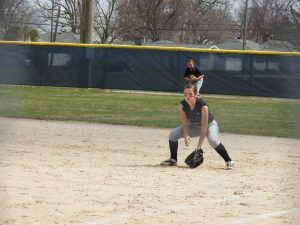 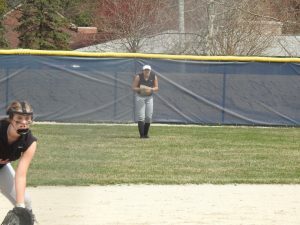 Leading the way was Annie “The Natural” Kluemper as she went 5 for 5 with 3 RBI, 2 doubles and 4 Runs. 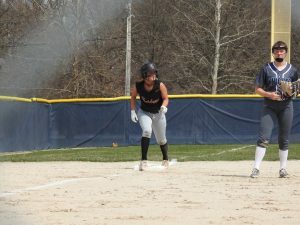 Right behind her, all with three hits were Riley Heim (1 RBI), Lauren “Steamin” Beaman (2 RBI) and Maggie Cmehil. 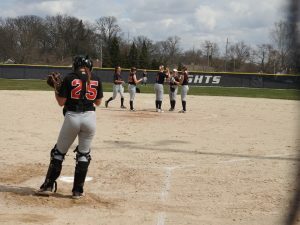 Taylor “The Falcon” Faulkenberg and Chloe Olejnik each added 2 hits while Kelsey Waggoner, Abby Blastic and the “McTwins” of Megan McCall and Emma Mckee each added a hit. 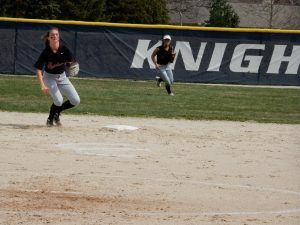 Faulkenberg was lights out on the mound as she threw a no-no striking out 16 in the process. 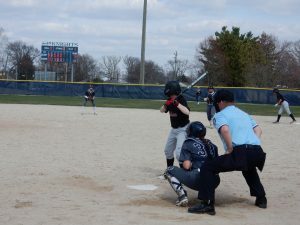 In game two the offense didn’t cool down as they racked up 16 total hits. 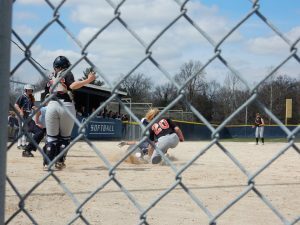 Beaman led the way going 4 for 5 with 6 RBI, 2 Doubles and 4 Runs along with Heim who was 4 for 4 with 2 RBI a double and a triple. 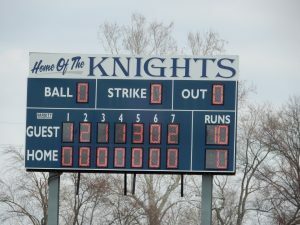 Faulkenberg stayed hot and was 3 for 4 with an RBI and Kluemper went 2 for 3 with an RBI triple. 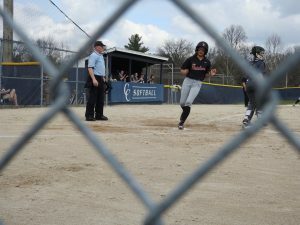 Also adding hits were McCall, McKee and Abby Blastic. 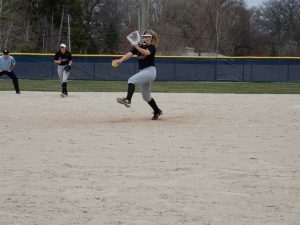 Beaman went the distance on the rubber, giving up 2 earned runs on 6 hits, fanning 7.